Former Chinese central bank governor Zhou Xiaochuan suggested on Wednesday that the direct impact on China of the trade war with the US "appears limited," though it could quickly prompt China’s top exporters to pivot away from US markets. Xiaochuan, who left the bank in March after 15 years at the helm, told Reuters that China's economy would be stable in 2018, with an expected growth rate of 6.5%, but needed to shift away from an economic model based on "urbanization," or constructing ghost cities. 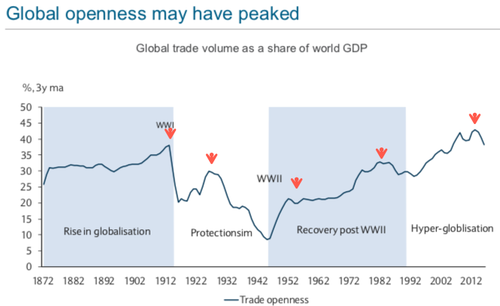 However, the main risk to the global economy is protectionism according to the ex-PBOC head. The costs of protectionism could hit the US the hardest, as Chinese firms are expected to withdraw from US markets and expand into other global economies:"I think it will force China to look at many other markets. So it’s not necessarily a good thing for the United States," he said. "I think the speed of (geographical) diversification can be relatively fast and beyond many people’s expectations." As a result of the peak in "hyper-globalization", China is being forced to change its growth strategy after many decades. The economic driver of supplying Western markets with cheap goods and constructing ghost cities in China are over. 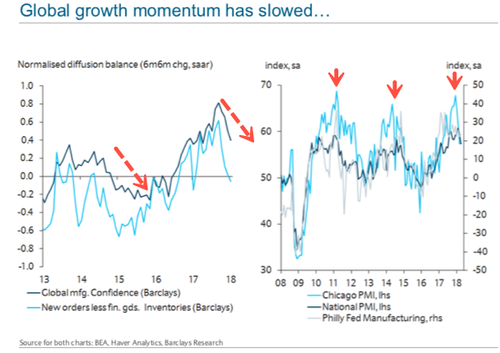 “Whether this is reaching the peak or has peaked and maybe going down, we need to find some new economic growth driver," said Xiaochuan. 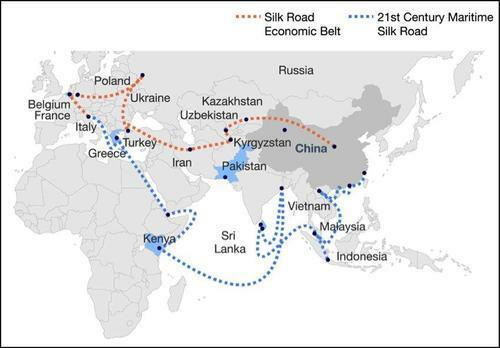 That new "driver" could be the Belt and Road Initiative (BRI), China's ambitious effort to promote regional cooperation and connectivity on a trans-continental scale via infrastructure-building projects covering Eurasia, various oceans, and parts of Africa (while saddling up neighboring nations with massive debt due to China). The BRI will allow China to pivot away from the US markets and the dollar system by enabling the internationalization of the yuan (also known as the renminbi (RMB)) with countries along this new economic system. Xiaochuan added that more global market participants might start using the yuan as China improves the exchange rate regime and the currency becomes more usable and convertible. "So if the other currencies have some problem, the global market may decide to use more RMB." As China exporters begin to pivot away from the US and focus on BRI countries, has Trump protectionist bluff backfired and alienated one of the country's biggest trading partners?